I’ve put off doing anything to our front porch since we’ve moved into our house. Eight years ago. I actually despise the space, and our whole front yard in general. Landscaping and hardscaping is not my idea of a good time, and this space needs it. (You’ll notice how none of the photos venture beyond the front door area.) So here is that welcoming space that guests first saw when they entered our home. I really hope first impressions don’t matter that much. You won’t ever find us sitting on our concrete slab of a “front porch”, watching the sunset or a rain storm. In fact, there’s not even room for one chair on our porch. Since we’re never in our front yard, I’ve neglected it, and when the opportunity arose to try out Modern Masters Front Door Paint, I jumped at the chance to make our shameful excuse for a front porch just a tad bit more appealing to all those people who drive by and the solicitors who come to our door. 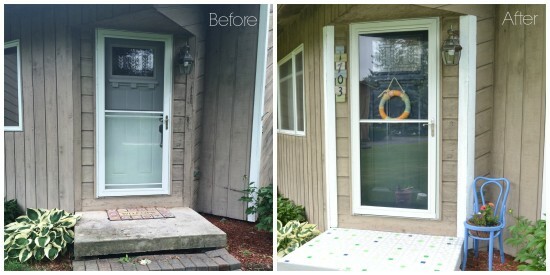 We purchased a new front door about three years ago (you wouldn’t wanted to have seen the previous one), and I just left the new one the primed white color. I wanted to go in the opposite direction for door color this time, so I opted for Peaceful, and although there will still not be any sipping of iced tea on the front porch, it definitely brought just a little more peace to the space. Okay, back to the nicer front door. I really love the finish this paint creates. 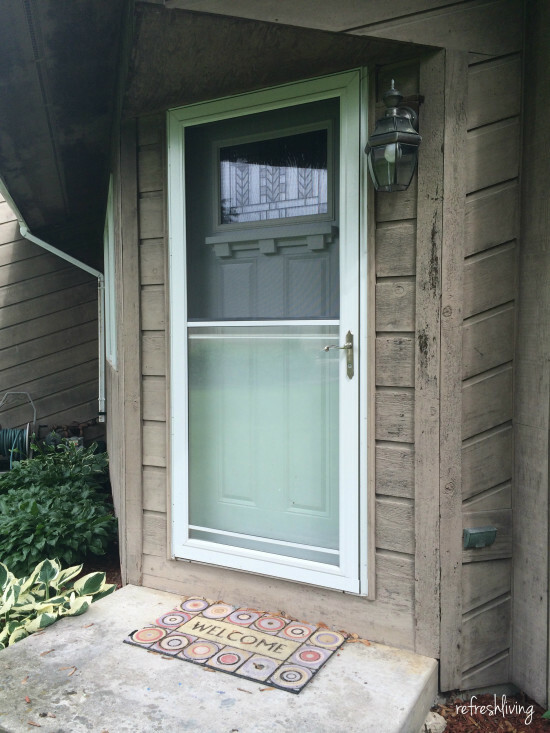 It’s just the right amount of glossy and it gives the door a professional-looking finish. 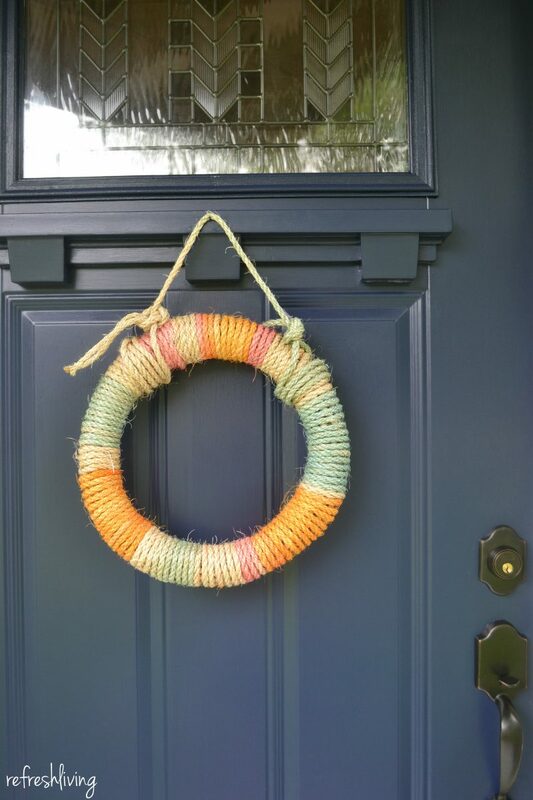 When I get started on a new project, like painting the front door, a whole lot of other projects seem to get rolled into it. 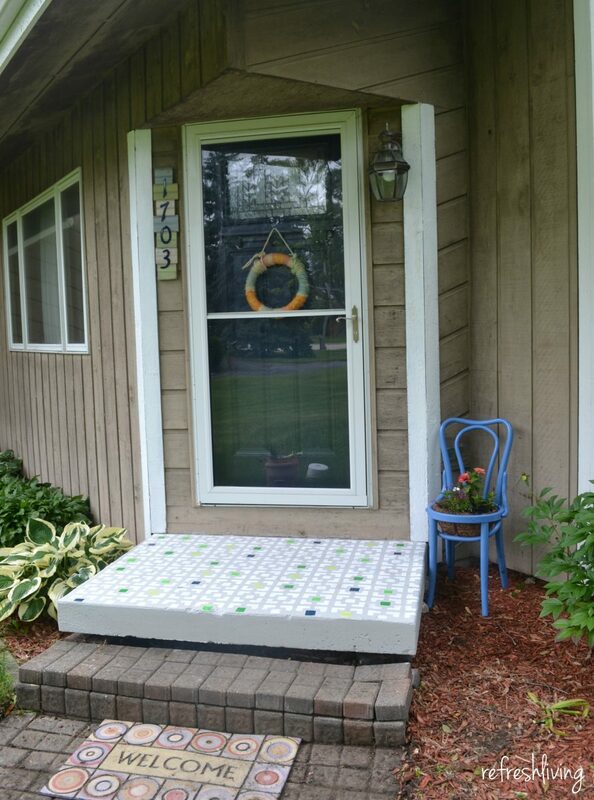 Come on, this space is not the most appealing front porch you’ve ever stepped foot onto. 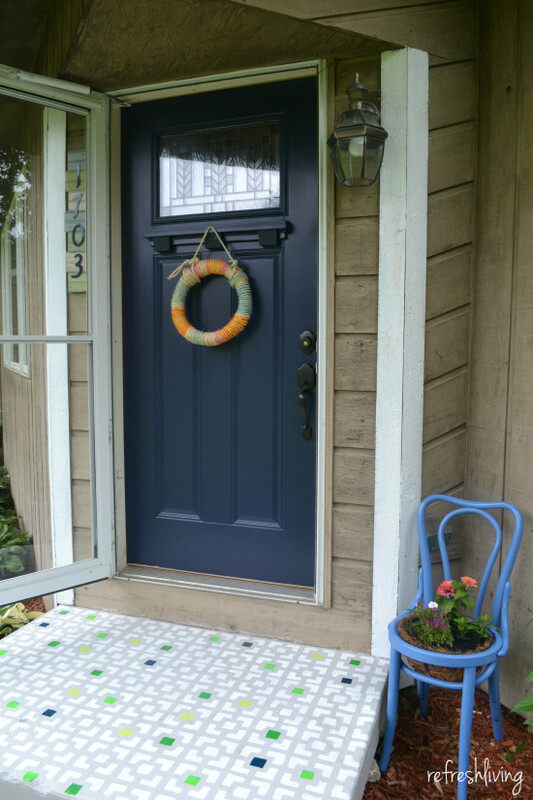 I couldn’t just slap some beautiful, peaceful, dark blue paint up there and call it an updated porch. So, I finally made an address sign with leftover milk barn bead board, made and hung my first ever wreath on my front door, and updated the concrete slab we fondly refer to as our front porch. More on that crazy project coming soon, but for now, take a look at how much better (if I do say so myself) our little porch looks. 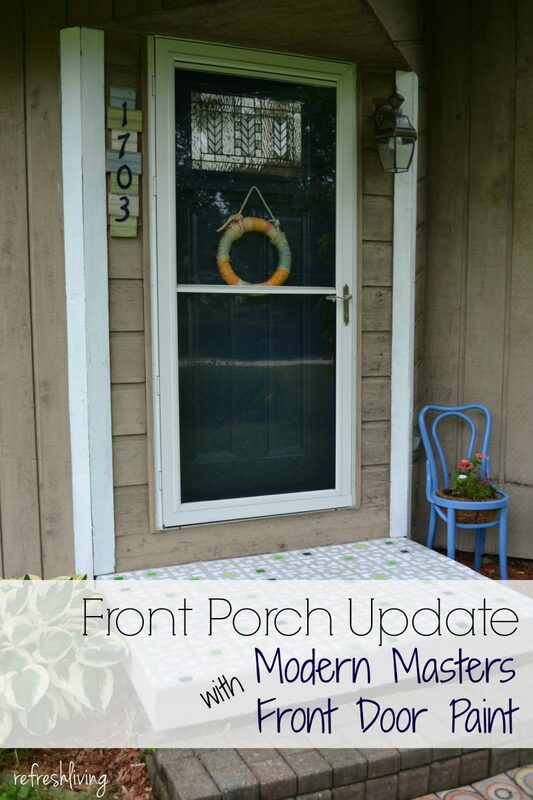 Take a quick look over at the Modern Masters website – they don’t only have front door paint. You could start planning out your next simple project, one that just snowballs into something way more than you originally planned! Disclosure: I received product from Modern Masters in exchange for this post. All opinions stated are entirely mine. Please read our disclosure policy here. 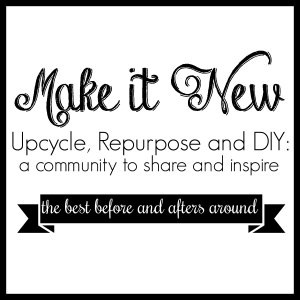 Linking up with Remodelaholic, Saavy Southern Style, Knick of Time, Miss Mustard Seed, and these awesome parties! 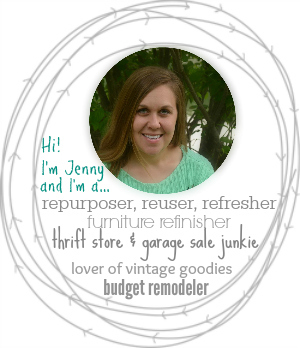 Jenny I love the blue color that you chose! The door looks great! The new color makes a huge difference! I am in the same boat as you right now! Our front porch needs a makeover but I have no idea what to do with the space. 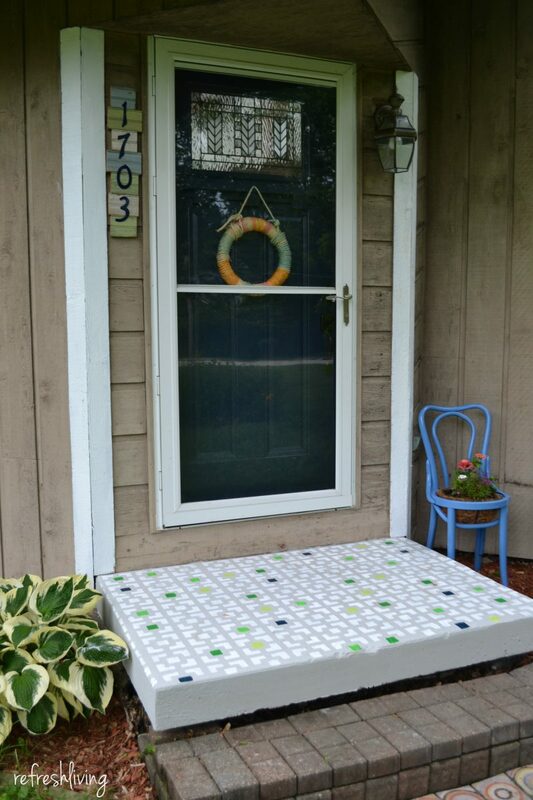 I would love to put a bench out there but it just hasn’t made the top of my list yet. Maybe a fresh coat of paint on the door will make the difference for us too! 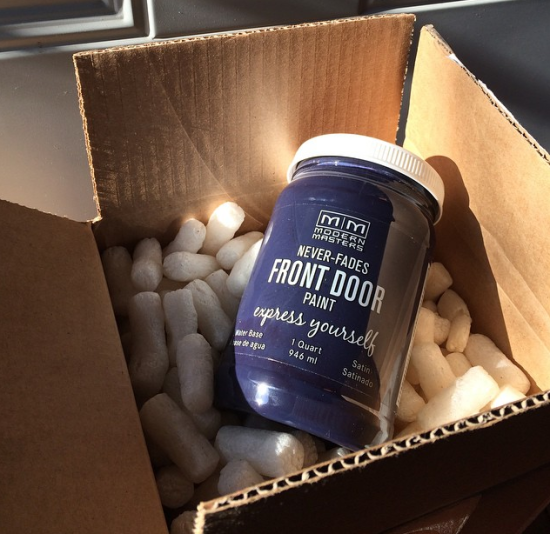 I had no idea they made paint specifically for the front door – and what a great color! 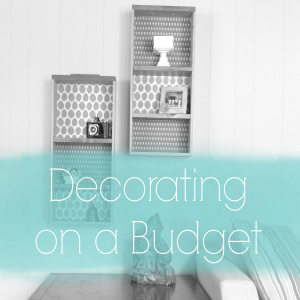 Thanks for linking up to Talented Tuesday! I’m loving the color, too! Thanks for stopping by! !